​The NEMS program would like to congratulate all of it's current college players on a successful season. Many NEMS players made it to the NCAA Tournament this year. Many of the following players are also coaching NEMS teams this season. Go NEMS! 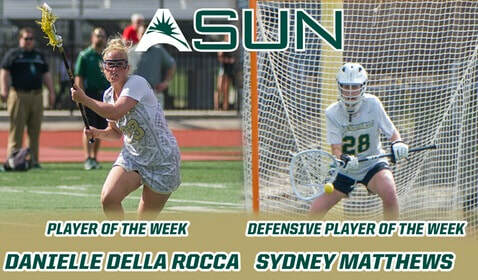 LakePoint, Ga. – Jacksonville University saw a duo of Dolphins take home honors from the ASUN Conference this week as Danielle Della Rocca was honored as the Player of the Week and Sydney Matthews as the Defensive Player of the Week, as announced Tuesday by the conference office.